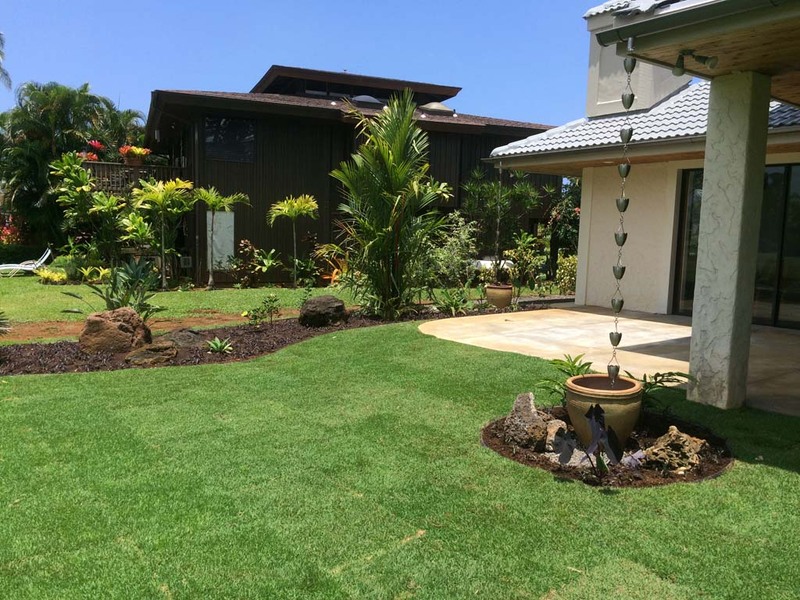 Kauai Landscaping Services - Kauai Seascapes Nursery, Inc.
Kauai Seascapes Nursery, Inc. (KSN) is a full service landscaping contractor (License C23092). We can assist with all aspects of your landscaping project, including design & CAD, plant production, grading and dirt work, irrigation system design and installation, turf installation, and plant installation. We pride ourselves on our ability to provide high quality landscaping services to both residential homeowners and commercial entities. Our work ethic, efficiency, and expertise cannot be matched! We unfortunately no longer offer routine yard maintenance (i.e. weekly mowing). However we are happy to assist with one-time maintenance projects such as tree and shrub removal, general demolition and hauling of yard debris, and periodic fertilizing and mulching.